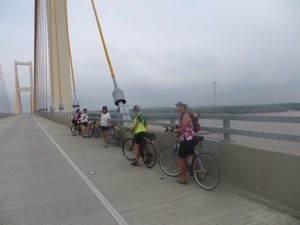 The ride out of town this Monday morning was a bit harried – lots of traffic and no shoulder. 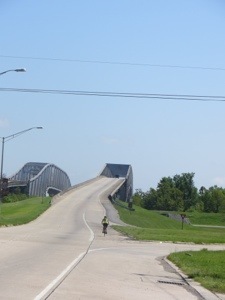 We all survived. 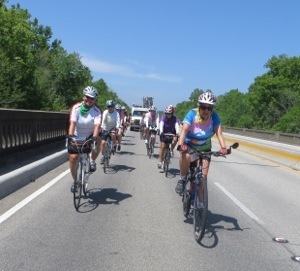 Because of the traffic, we were more bunched together than usual. 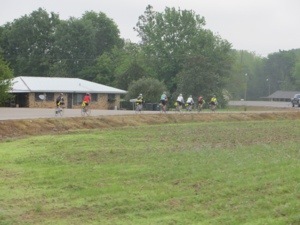 Then when we got outside of town, the faster pace line took off. 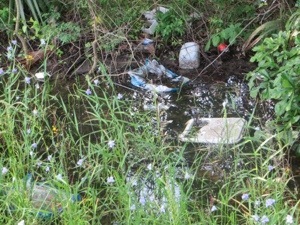 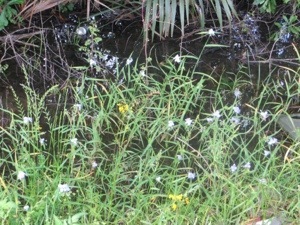 I was fascinated that these flowers could grow in the litter in the drainage ditches. 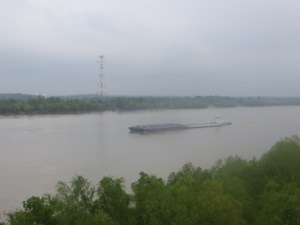 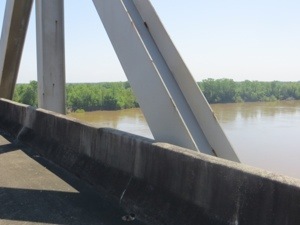 At mile 43, we crossed a high bridge over the Atchafalaya River. 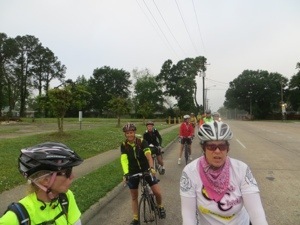 Because the Morganza Spillway has no shoulder and is over three miles long, we formed a peloton in front of the van crossing at 6-8 mph. 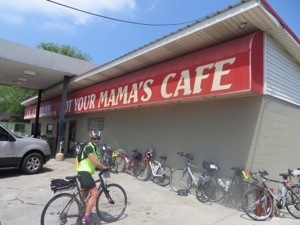 By mile 68, we were ready for lunch at “Not Your Mama’s Cafe”. 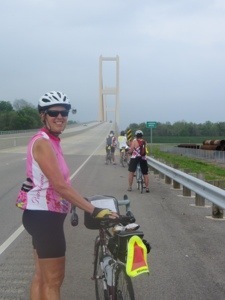 On to New Roads, leading to the Audubon Bridge over the Mississippi. 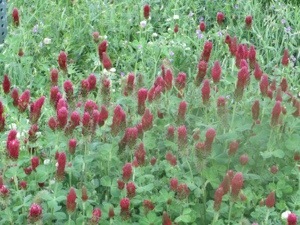 After the bridge, the road was lined with these lovely red flowers. 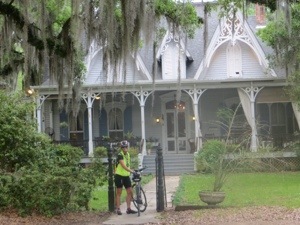 In St. Francisville, some of the riders were at the Old St. Francisville Inn in town. 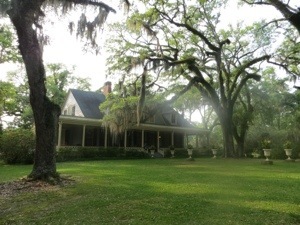 Others were at the Butler-Greenwood Bed & Breakfast. 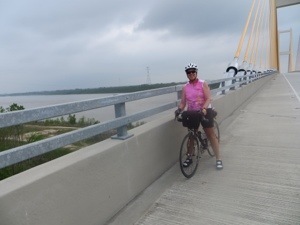 Don flew into New Orleans earlier in the day, and met me at the end of the ride to whisk me away to The Bluffs Resort for our rest day.